COLUMBIA, Mo. 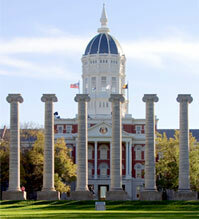 — University of Missouri officials announced today that a student has been diagnosed with active tuberculosis (TB). The student voluntarily left campus, and MU officials, including those from Student Health and University Physicians, are working closely with the Columbia/Boone County Department of Public Health and Human Services as they identify additional individuals who might need testing. According to the Centers for Disease Control and Prevention, TB is most often spread when an individual with active tuberculosis of the lungs coughs near other individuals. It is spread only through the air and is not spread by touching surfaces or by sharing food or drink. The health department will take the lead, and individuals at highest risk will be advised to receive TB testing at an appropriate location, which includes the Student Health Center, University Hospital or the Columbia/Boone County Health Department. Any individuals with positive test results will be provided with appropriate treatment. Due to federal privacy laws, no additional information about the student or the student’s condition will be provided.